So you’re doing a Whole30, eh? Let’s do this! Perhaps you are coming to this post planning for your very first Whole30. Or maybe you have four Whole30s under your belt and are looking for fresh ideas to make reaching your 30th day a breeze. 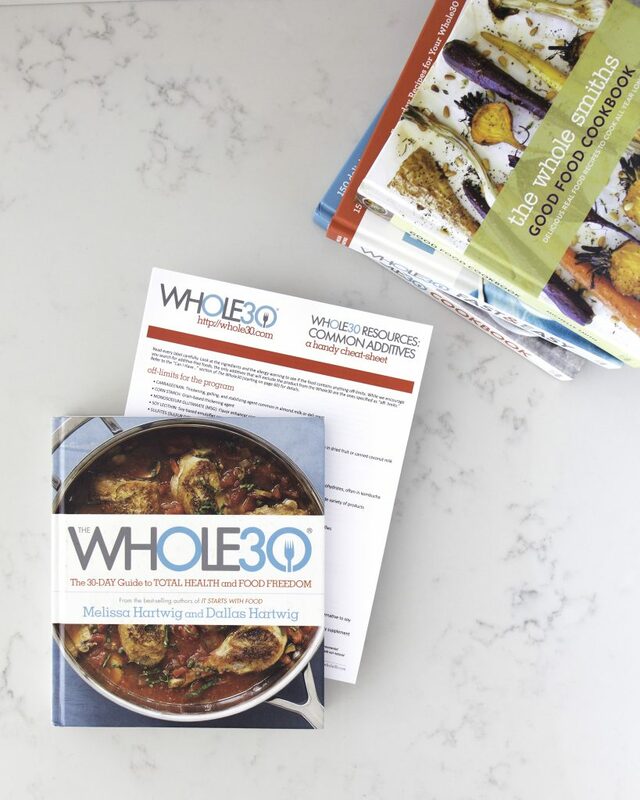 Either way, you’ll find valuable resources throughout this Whole30 guide that are designed to make your Whole30 manageable, delicious and something you can incorporate into your lives and food freedom long after your 30 days are over. 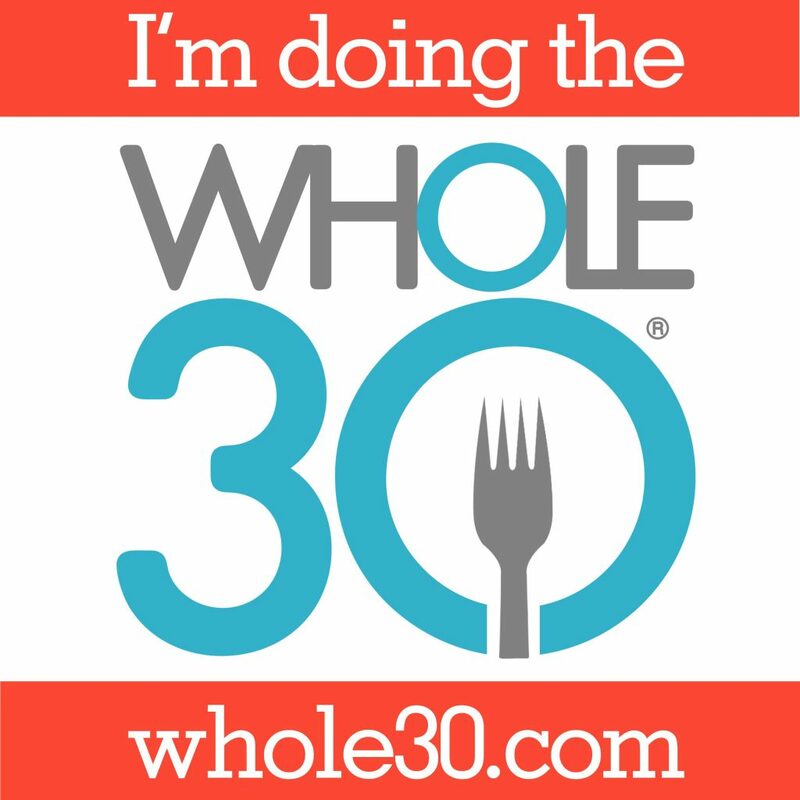 Before we get going, on I want to make it clear that you can successfully do a Whole30 without ANY additional products, support or resources outside of what is provided directly on the Whole30 website. In fact, you don’t even need a book. The entire program is outlined right there for you on the Whole30 website. In fact, it’s how I did my very first Whole30. With that said, I do recommend reading the actual book Whole30 to fully grasp the program. But again, even that’s not required. Many of the resources outlined in this article are free. Guides, Facebook groups, shopping lists, recipes and more, all free. Free, free, free. Some are additional resources you can pay for like cookbooks (AHEM like the first ever Whole30 endorsed cookbook, The Whole Foods Good Food Cookbook, products or meal planners that are designed to make life more manageable while you’re maneuvering this new way of looking at food. In full transparency, a few of the included links are affiliate links. This means I get a small portion of the proceeds for referring you. I won’t participate in an affiliate promotion unless they pass a discount on to my audience as well so we all win. Please know that I am very selective about the brands that I partner with and these are all brands that I use and purchase for myself on a regular basis. Now that that is all out of the way, let’s get into it, shall we? First off, I can’t emphasize enough how much having a supportive tribe is going to be. Perhaps that’s something you can draw from your immediate family and friends but for some that’s not always an option. If your family is less than enthused about giving up their morning waffles, you’re not alone. That doesn’t mean you can’t do this without them though! 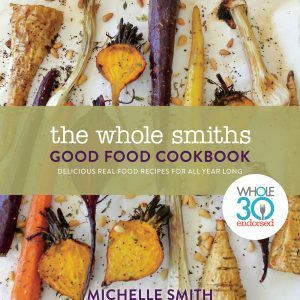 There is SO much support in the Whole30 community, I truly believe it is one of the most supportive and caring squads out there. Make sure to download some of the fun social media images Whole30 has created for you to use on your social profiles during your 30 days. 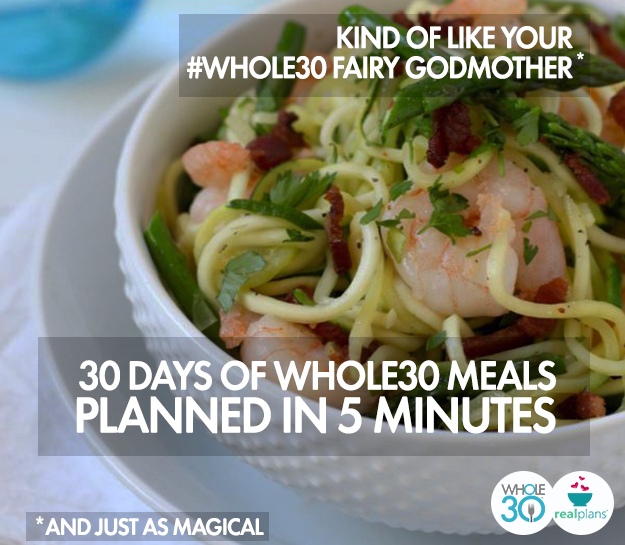 Whole30 Recipes – This is the official Whole30 Recipes feed from Whole30. Each week they have a new guest poster sharing new recipe inspo, tips and tricks. I love that each week we get a new perspective and take on how someone is approaching their Whole30. Healthy Little Peach – I just adore the recipes Ashley puts out; they’re creative, full of flavor and approachable. She has a fun and relatable voice that will draw you in to her cooking adventures. Speaking of her actual voice, it’s like smooth maple syrup smothered on a warm fluffy pancake (which is NOT Whole30 by the way 😉 ) on a cold winter’s day and will draw.you.in. 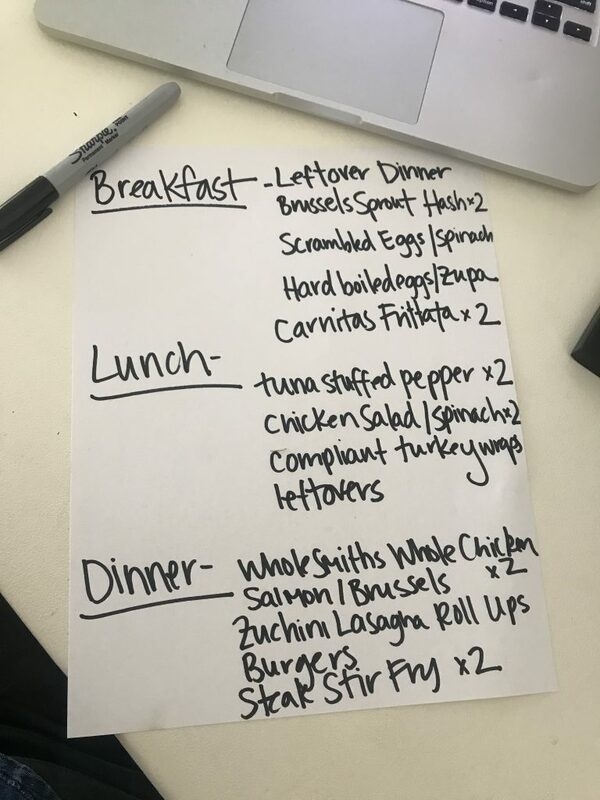 TPW Aldi Walmart Whole30 – This Instagram is run by Sarah Renfro, Whole30 Certified Coach of the Year 2018, and focuses solely on doing a Whole30 on a budget. Sarah shares economical grocery finds, recipes and more. All the more proof you can do this without a giant food budget. The Whole Smiths – I mean, I HAVE to include myself, right? Chances are you may already follow me over on Instagram but if not you can do so here. I love to make healthy cooking fun and accessible for every home cook. My family makes guest appearances, we had #WillSmith week over there and I share my new favorite products, tips and tricks. While you’re over at Instagram, I suggest you check out the #whole30homies hashtag. 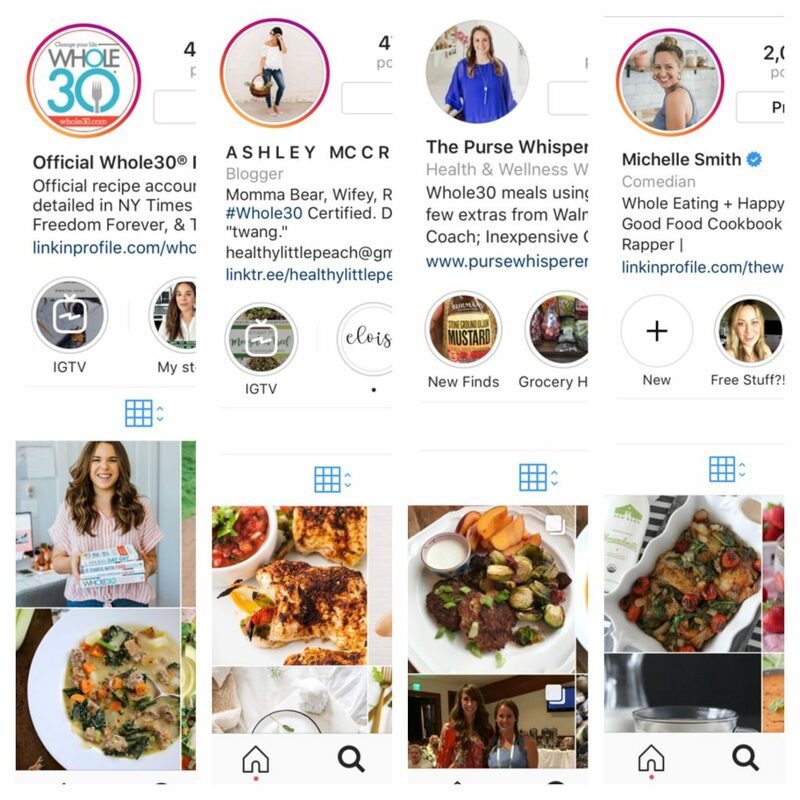 It’s a fun hashtag of people documenting their Whole30. I encourage you to comment, interact, ask questions and get to know others through your journey. The more connections you make, the more support you have. Knowing you are not alone, having someone to answer your questions and encourage you along the way is invaluable. 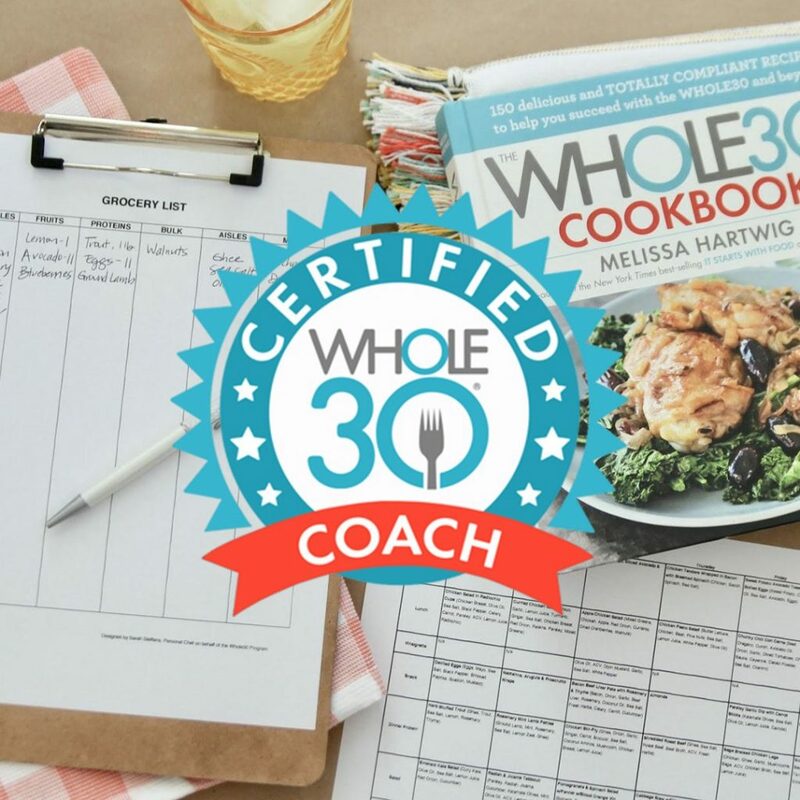 Speaking of Whole30 Coaches, for those of you wanting an extra layer of support along the way Whole30 has many certified coaches that are specialized in understanding the program and helping you to get through it. Of course, this isn’t necessary however if you know you are going to struggle with certain aspects and like more of a one on one approach this may be an option for you. You can find a list of Whole30 Coaches HERE. And finally, for all of you current, soon-to-be or looking-to-be mamas the Whole Mamas Club is a resource created by Whole30 to support you through your health journey while balancing motherhood and the additional challenges motherhood brings to the table. If I’m being honest, meal planning isn’t my forte. I don’t have fancy templates, sophisticated meals on rotation and organized lists to shop from. Due to the nature of what I do our food schedule depends a lot around what I’m creating for this blog, cookbook, or brand partnerships. Due to the nature of your life meal planning and getting everything ready ahead of time may not be something that comes easily to you. I get it! But the truth of the matter is you don’t need a fancy plan to be successful. I keep my meal planning quite simple. A couple of days prior to the start of the week I list out 5 meals I want to make for dinner during the week (two of which I plan to double batch), 3 breakfasts and 4 lunches. These don’t necessarily need to be recipes per se as much as an idea. 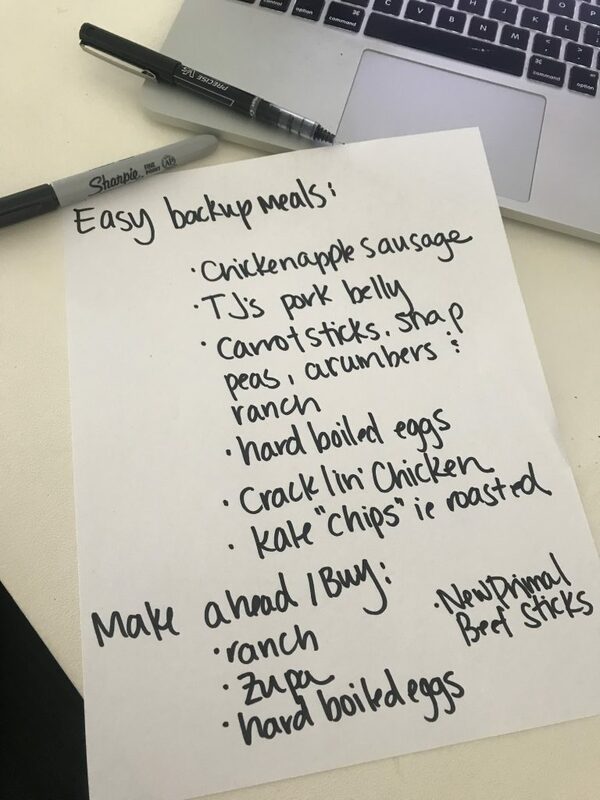 I also create a list of snacks, extras and a backup dinner idea in case one night we’re running short on time. It doesn’t need to be perfect but as long as I have a plan to have compliant meals and foods on hand I find it easy to manage. It’s important for me not to overplan and get too ambitious with my meals. It’s easy for me to get carried away and end up with too much food on hand, spending too much time in the kitchen and too much time prepping. I like to keep things simple with ingredient meals and simply plan for a protein, veggie or two and a sometimes a starch for dinner on some days. NOT a full blown recipe meal every day of the week. Once I have my list, I take stock of what ingredients I already have on hand and make a grocery lists for the rest. Usually my list is just written down on the back of that paper. That’s it. I have a rough idea in mind on what I want to eat which day depending on our schedule. However, if you do better with a well structured meal plan there’s options for that as well! I’m thankful for people like Michelle Tam of Nom Nom Paleo who has created a comprehensive guide and meal plan to follow through the month…and beyond. She has 90 days of Whole30 recipes and content all located right on here blog! I also highly recommend looking into Real Plans for your meal planning needs. They work directly with Whole30 and will create customized meal plans and shopping lists based on your dietary preferences. Perhaps you have a child who is allergic to nuts and you need to avoid recipes with nuts, no problem! Maybe you love chicken and want lots of chicken recipes in your meal plan. Again, not a problem. Basically you let them know what kinds of recipes you like, a meal plan and lists are made. Boom. You’re done. Lots of your favorite food bloggers have their recipes included in Real Plans as well. In fact, several recipes from The Whole Smiths Good Food Cookbook are in there! But it’s our little secret, ‘k? You can find more information on Real Plans here. Avoid Meal Fatigue. It’s not all about sweet potatoes, bacon and avocado. Do some pre-work and save Whole30 recipes so you aren’t stuck eating the same thing every day. To get you started, here are some of my favorite Whole30 Recipes. You can also search recipes on my site by dietary guidelines and find all of my Whole30 compliant recipes there. 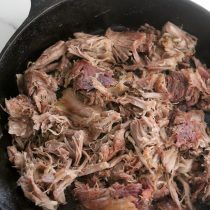 My friend Kristen from Living Loving Paleo also has a great round up of popular Whole30 recipes on her site for you to peruse. Keep it Simple. Don’t over meal plan or plan overly ambitious meals. Find recipes with 3-4 ingredient that you can mix-n-match throughout the week. I love Nom Nom Paleo’s Cracklin Chicken or The Whole Smiths Whole Roasted Chicken. Super simple, tasty and easy to prepare. Buy and Make in Bulk. Stock up with your favorite healthy foods and plan to have them around. Foods you look forward to eating. If you love steak, have steak in the fridge! 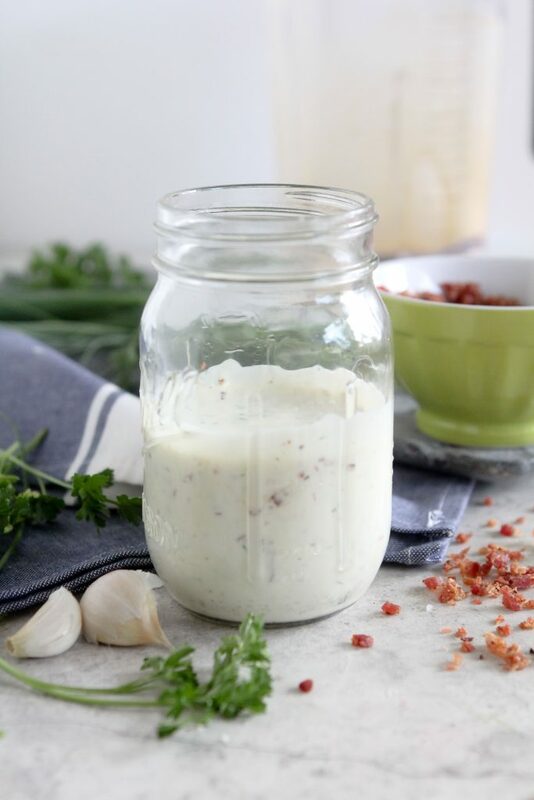 If you know you’re a ranch fiend (like me) make a batch of my Bacon Ranch Dressing to keep on hand. Once a Month Meals has a round-up of 101 Whole30 compliant freezer meals that’s bound to give you some great bulk meal ideas. Right now my friends at Butcher Box are offering new members 2 pounds of free Grass-Fed Ground Beef for LIFE when you sign up. Yes, for life. We love using their service and it ensures we always have quality protein on hand. Emergency Meals. Have emergency food on hand! 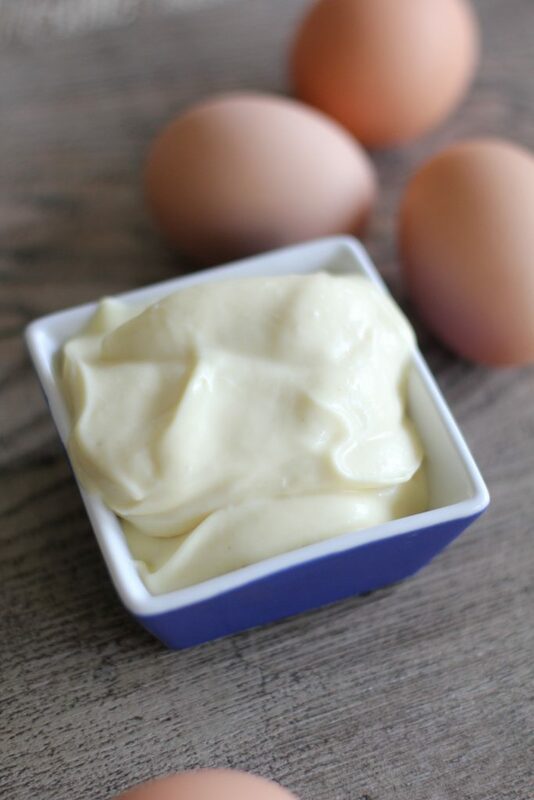 Things like hard-boiled eggs, salad mix and compliant dressing or a compliant rotisserie chicken will be your best friend. In a pinch I’ll even eat an avocado. Ah, grocery shopping. You either love it or hate it. Personally I love it. I love finding new products and strolling the isles for new recipe ideas. But that’s also part of my job. I get it, grocery shopping can get to be burdensome to fit into your schedule, particularly if eating a whole foods diet is new to you. I recommend planning to grocery shop once a week. I’ve tried stretching it to two weeks but I find I buy too much and end up with food waste. I will however stock up on proteins (storing them in the freezer), canned goods and spices every couple of weeks and load up on perishables weekly. I’ll then base my meal plans off of the proteins I have in the freezer rather than shop to my meal plan. I know grocery shopping can vary widely based on what region you are located. Here in the Bay Area I duo the majority of our shopping at Costco, Trader Joe’s and Whole Foods. I’ve rounded up some Whole30 shopping guides from some of my favorite bloggers for you to scroll through. A lot of compliant items can be found on Amazon. I often use Amazon Prime to deliver a bunch of items I may have forgotten at the grocery store or that my local store simply doesn’t carry. Sometimes that requires buying them in bulk but as I mentioned above, I’m ok with that. Things like compliant pizza sauce, tapioca flour or my favorite iced teas are always great to have an excess of. This is not about the perfect Whole30. It’s not about making every single meal from scratch, having each plate perfectly balanced. You can definitely do that but don’t sweat it if the best you can pull off one night is some compliant chicken apple sausages and carrot sticks. While I don’t suggest that at each meal, it’s going to happen. And that’s ok. Doing things like buying pre-cut and washed vegetables are a lifesaver. You don’t get bonus points for chopping them yourself. If you see an economical option that’s ready to go, go for it. Things like pre-cut butternut squash, and store bought riced cauliflower will save you a boat load of time and energy in the kitchen. Trader Joe’s and Mann’s Fresh Vegetables have a wide range of economical options for you. It makes recipes like my Chipotle Lime Butternut Squash and Pork Fried Cauliflower Rice a breeze. I’m a huge proponent of making breakfasts ahead of time. Prior to a Whole30 we’re used to quick breakfasts like cereal, smoothies and yogurt and those are obviously all a no go now. It can be an adjustment to moving towards an unprocessed breakfast routine. To help facilitate that I recommend making your breakfasts in batches ahead of time. Things like frittatas and egg muffins / cups are always a quick option to reheat in the morning. Double batch whatever you make and plan to have it through the week. 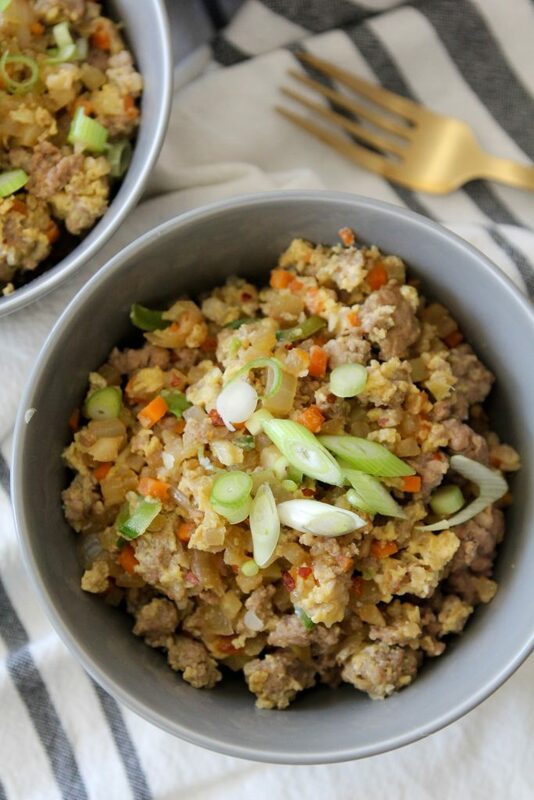 If you get sick of eggs plan to have your leftovers from dinner the night before or make a batch of sausage patties to reheat with a quick breakfast salad. For quick and easy dinner ideas, check out 10 Sheet Pan Meals over at Everyday Whole or these 30 One Pot Meals from Oh, Snap Let’s Eat. While I love making things like my 30-Second Mayo or Whole30 Latte from scratch, I find making everything on my own can get a bit a bit cumbersome. Thankfully brands like The New Primal, New Barn Almondmilk and Zupa Noma make convenient ready-to-go sauces, portable proteins, almond milks and bottled soups that are compliant and great to rely on. You can use the code “WHOLESMITHS” to save 15% on your Zupa Noma order. this up. This web site is something that is needed on the web, someone with a bit of originality!